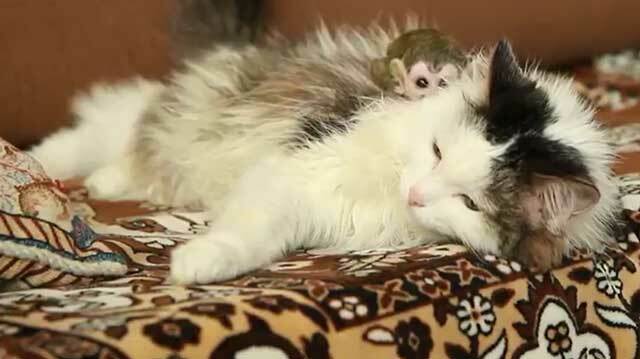 A cat has adopted a baby squirrel monkey in Russia. The little monkey was rejected by its parents at Tyumen zoo. The zoo director decided to try and find another mother for the primate. So she took the tiny monkey to her home and placed it near her cat. YouTube link. Alternative YouTube video. 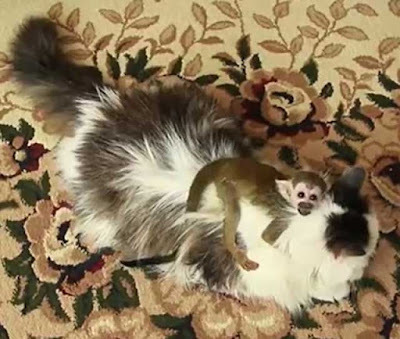 The two seem to get along with each other said Tatiana Antropova, director of Tyumen zoo. 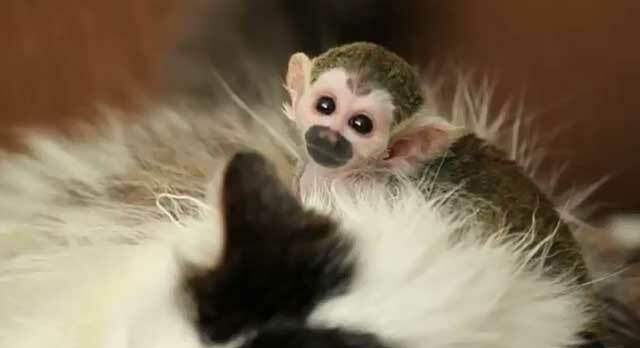 The baby monkey will now spend four months with Tatiana and the cat before returning to the zoo.